THE Office of the Labour Commissioner issued a certificate of an unresolved dispute in favor of the unions representing staff at the University of Namibia (UNAM), paving the way for the unions to hold a ballot on engaging in industrial action. UNAM Communication and Marketing director, Edwin Ngutjiua Tjiramba, said about 61% of staff eligible to vote, voted in favor of a strike. In terms of the Labour Law, the University was served with a notice of a strike which came into effect at 07:30 on Monday, 29 October. “Due to the current economic situation, UNAM received much less than expected, therefore the 6% increment cannot be afforded,” noted Tjiramba. The university management entered into negotiations with the unions on a possible salary increment after having been given an indicative figure which UNAM will be allocated for this financial year. 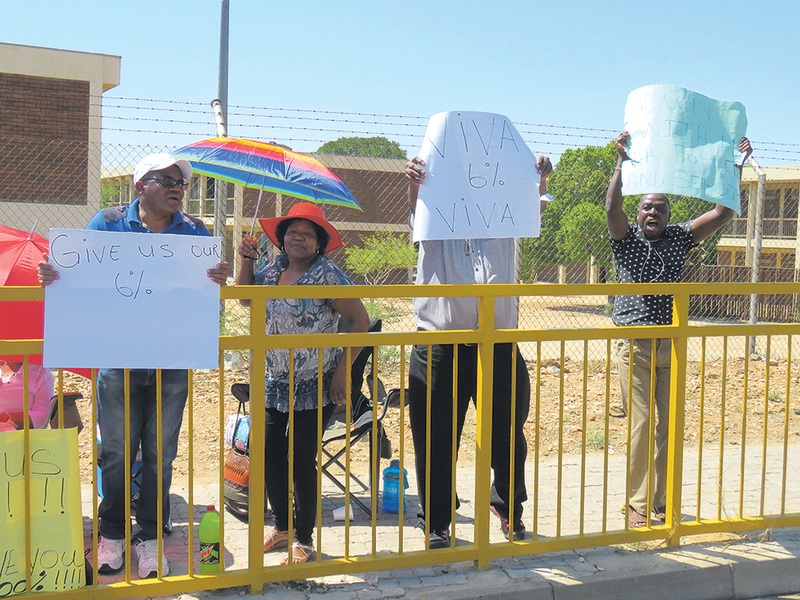 Tjiramba further noted that their commitment and priority at this point remains to ensure that no UNAM staff member loses their job under the current economic conditions. He added that the university management has negotiated in good faith with the unions at all times. “The current economic downturn being experienced has affected all sectors of the Namibian economy and the higher education sector is no exception,” said Tjiramba. Tjiramba noted that this matter has to be amicably resolved between the parties and that the university management remains open to engage the unions on this matter at any time. All operations within the university, in terms of service provision, are continuing unhindered. He further added that all academic staff outside the bargaining unit, including those in the bargaining unit who are not taking part in the strike, are performing their duties by ensuring the smooth and efficient running of the examinations as a core business of the university. 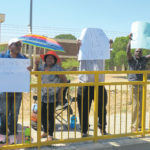 Staff at the Hifikepunye Pohamba (HP) Campus at Ongwediva and Ogongo Campus on Monday also went on strike demanding a 6% salary increment. Spokesperson of the group, Rajesh Vaida, told the media at the beginning of the strike that the strike, however, does not affect ongoing examinations the students at the campus are busy with. He pointed out that the strike will continue until their demands are met. The HP campus has some 100 staff members. Vaida stated that only five of them distanced themselves from the strike. Vaida indicated that the strike is being held at all UNAM campuses and centers countrywide. UNAM employees stated that the 6% increment demand backdated to January this year is no joke and should be taken seriously. Negotiations started in 2017 and the 6% increment was agreed upon, but the employees were caught by surprise when the university’s management told them that there was no money for the increase. The staff stated that they are of the opinion that they will end the strike soon, provided their demands are met. The HP and Ogongo campus staff members gather at the entrance gate of the campus premises as early as 07:30 every day, due to the rule preventing them from striking inside the premises.